The Ottoman Imperial Harem was not a prison for women. Rather, it was a platform for independently powerful women and eunuchs to exercise tremendous political influence by pooling their economic power, political connections, and other resources. Under the leadership of Imperial Princess Mihrimah Sultan in the 1560's, the Harem became the unofficial governing body of the Ottoman Empire and, with its splendor and soft power, rendered Suleiman the Magnificent insignificant by comparison. As delegates, you will represent the figures of the Harem that had a crown prince executed, led the government to besiege Malta, and hand-picked Suleiman’s successor. Your immense task, in the face of domestic unrest and Western, anti-Islamist opposition, is to ensure that the legacies of Suleiman the Magnificent and the Ottoman Empire go down in history. Jordanna Yochai is a second year in the College, majoring in Political Science, minoring in Near Eastern Language & Civilizations, and hailing from Long Island, New York -- home of real pizza, bagels that are worth eating, and Billy Joel. Last year, Jordanna had a great time saving Europe in ‘Brussels: 2023,’ the ChoMUN Large, and also loved competing with UChicago’s traveling Model UN team. Outside of Model UN, she leads a cohort, works as a lifeguard, and actively stresses about the future of the Middle East. In her limited free time, Jordanna enjoys endangering her life on the flying trapeze and drinking Turkish coffee as though it’s actually just water. She is thrilled to be the Chair of the ‘The Near East Wing: Ottoman Imperial Harem, 1560’ and cannot wait to see what this cadre of women and men will do with the Ottoman Empire! If you have any questions about committee or just want to chat, definitely reach out to her at jsyochai@uchicago.edu. Carter Squires is a second year in the College, majoring in Political Science and Psychology (or whatever majors can keep his GPA up for law school). He hails from Louisville, Kentucky -- home of real bourbon, fried chicken that is worth eating, and horse racing. 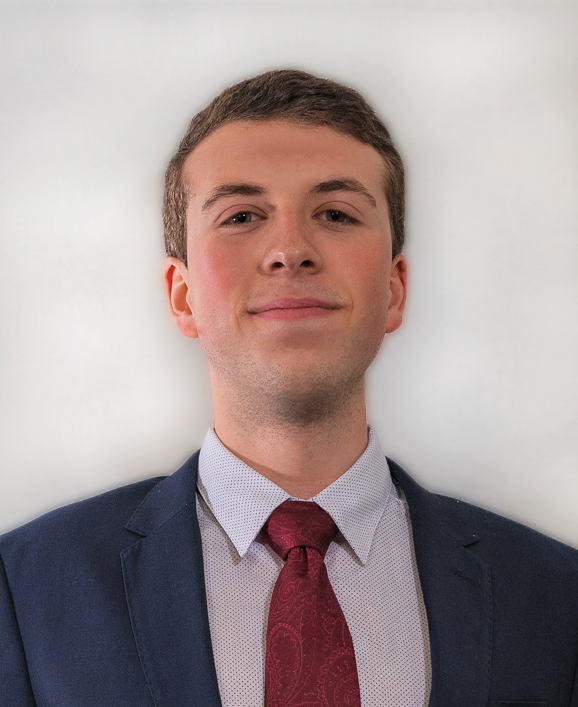 Carter is returning to ChoMUN after working to destroy save Russia in ‘The Fault in Our Tsars.’ Outside of Model UN, Carter competes with UChicago’s Debate Team, is a consultant for local nonprofits, and works with the prospective students office. When he has time to catch his breath and relax, Carter enjoys getting outside to spend time in nature by running, hiking, and camping (this has proven difficult given Chicago’s weather and lack of large parks). Carter is thrilled to be a Crisis Director for ‘The Near East Wing: Ottoman Imperial Harem, 1560.’ If you have any questions about this committee, ChoMUN, or life in general, don’t hesitate to shoot Carter an email at csquires@uchicago.edu! Emily Young is a second year in the College majoring in Public Policy and Political Science. She hails from New York City - home of better bagels and pizza than Long Island, and an MTA that sometimes works. Emily is replacing one wing with another this year, as she was an assistant chair for Eleanor Roosevelt’s East Wing last year. Outside of ChoMUN Emily competes with UChicago’s Model UN Team and is a chair for MUNUC, UChicago’s Model UN Conference for high school students. Although she spends way too much time on Model UN, Emily also researches Campaign Finance policy for a think tank on campus and works in a local Chicago Public School. In the free time she has left, Emily enjoys memorizing the lyrics to pretty much every musical she can and drinking an inordinate amount of tea. Emily is thrilled to be a Crisis Director for the ‘The Near East Wing: Ottoman Imperial Harem, 1560’ and can’t wait to see the influence of this powerful group on the Ottoman Empire! If you have any questions about the committee or ChoMUN please feel free to reach out to Emily at eyoung21@uchicago.edu!